Manikarnika is showing good hold on Monday (4th day) at box office as early trends for the day is coming in. However, film is riding on big budget and ideally it needed an excellent hold. Will film recover its investment, only time will tell now. Manikarnika opened to around 16-17% occupancy in morning shows. Film picked up some pace in noon to register occupancy of 23-24%. Film showed good momentum from evening onward and as per latest registering an occupancy of 40-45%. Occupancy drop of Monday is around 15-20% from Friday. However, business drop is in the region of 30-35% as ticket prices are lower for Monday. 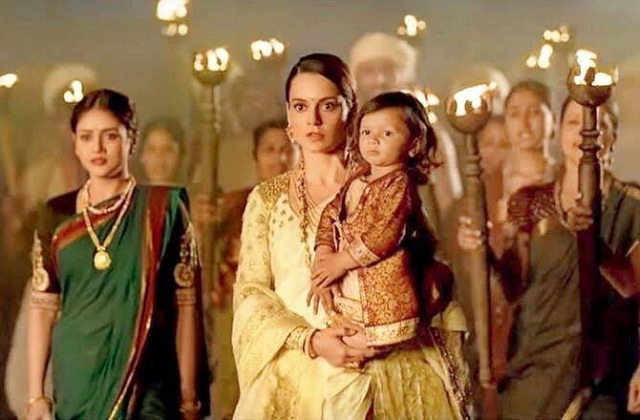 Early trends suggest, Manikarnika fourth day total is trending towards 5.75-6 crore nett mark. These are early estimates from limited samples we have at this moment. Final count will be higher or lower depending on how film performs in rest of the day's shows and also on interiors whose reports are awaited. In general cases any drop in around 40% or less from Friday is touted as good. Manikarnika has achieved that target. Problem is film budget is on higher side and it needs a minimum of 110-120 crore nett in its theatrical run to achieve its goal. Film four day total is heading towards 48+ crore nett mark. Hope film shows solid trend from here on to achieve that target. Today I saw the interview of the director Kris. It was really sad how he was treated by Kangana after all the years of hard work he put in his dream project. It was horrible how Sonu sood was cut out from the film because Kangana thought he was overpowering her in film. It's was really showed how selfish she is when she reshoot and added songs and scenes to overshadow every other characters and shoot the budget of the movies far higher than it should be. The interview really shows what a third grade cheap selfish person Kangana really is. Bobby Sidhu ko bulao....175 cr lifetime...hahhahaha...joker ka baccha saala..
Only a dumb a ss like Booby Sidhu can predict 175 cr and again predict wrong by more than 50%..